My girlfriend’s favorite flavor of ice cream is Salted Caramel from a local creamery here. I’ve really been playing around with the ideas of sweet and salty for an ice cream flavor to see how much more of the sweetness comes out with the salt aspect. 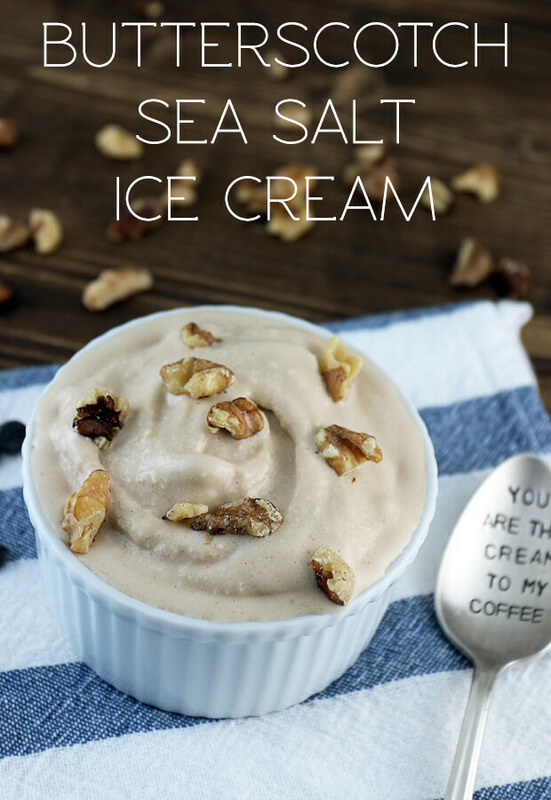 I wanted to recreate both the texture and flavor of boutique ice cream with this butterscotch sea salt ice cream. This one definitely fits the bill. The flavors of butterscotch play perfectly with the saltiness that comes through. Though, I do want to say to make sure to use a flaked sea salt. Using lite salt or kosher salt might give you a different taste, but you can definitely experiment to see what you come up with. Note that the vodka is optional – but it helps the ice cream from freezing too far (and having actual chunks of ice). 1. 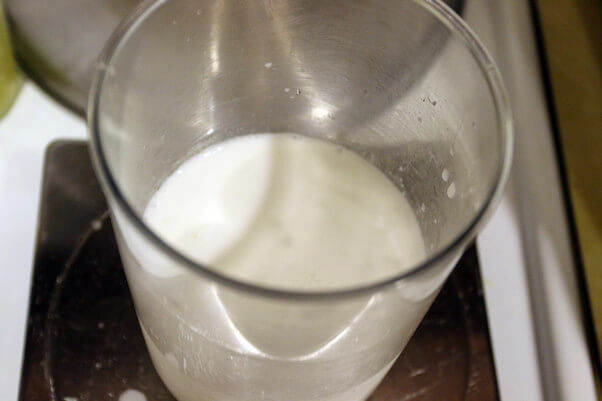 Add coconut milk, sour cream, heavy cream, vodka, butterscotch flavoring, sweetener, salt, and guar gum to a container. Use an immersion blender to blend everything together. 2. 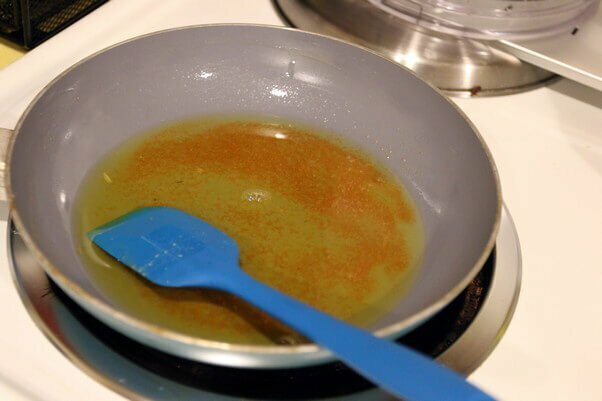 In a pan over low heat, brown the butter until a dark amber color. 3. 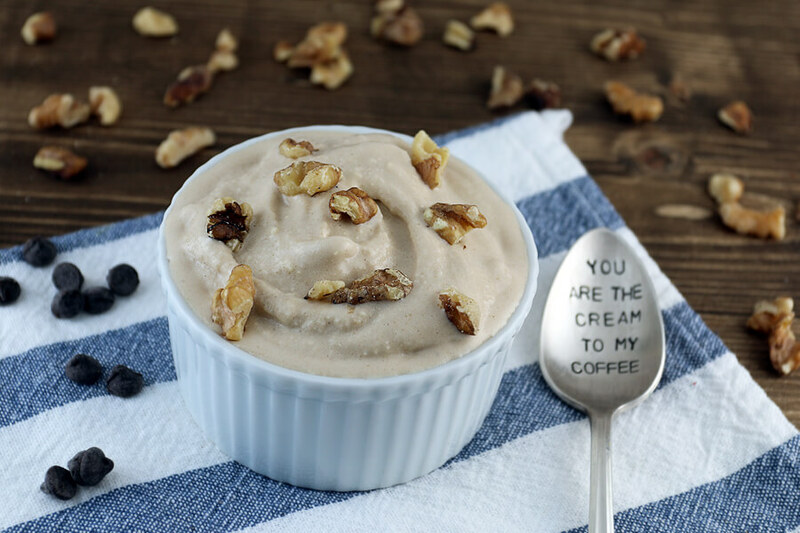 Add butter to your ice cream base and use your immersion blender again to blend everything together. 4. 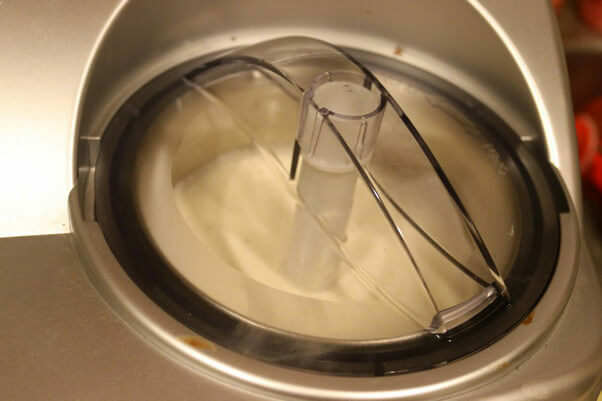 Add ice cream base to ice cream machine and let churn according to manufacturers instructions. 5. Enjoy! Add some chopped walnuts on top for some extra flavor. This makes a total of 3 servings of Butterscotch Sea Salt Ice Cream. 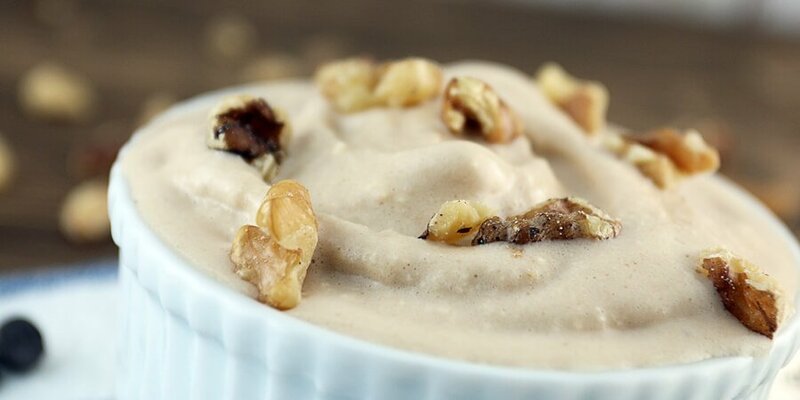 Each serving comes out to be 274.67 Calories, 24.72g Fats, 4.16g Net Carbs, and 1.49g Protein. 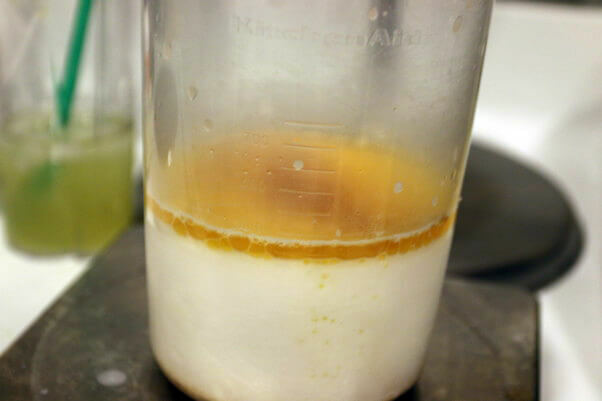 Brown butter over low heat until a dark amber color. Add all ingredients to a container and use an immersion blender to blend together. Add to ice cream machine and follow manufacturers instructions.